The updated report from the National Weather Service shows tomorrow’s weather will be a little cooler – so it should be a real nice day for some tree & shrub planting (but don’t forget the sun screen!). We will be meeting up with Jeremy and the gang a little before 9:00AM. See map for parking area. Don’t forget your gloves, boots, tools, sunscreen, insect repellent, lunch & WATER! Hope to see you there! More Volunteers Needed for Tree Planting! Spring is a busy planting time for the Trees for Tribs program. This is for the Balonek Farm project in Mumford. 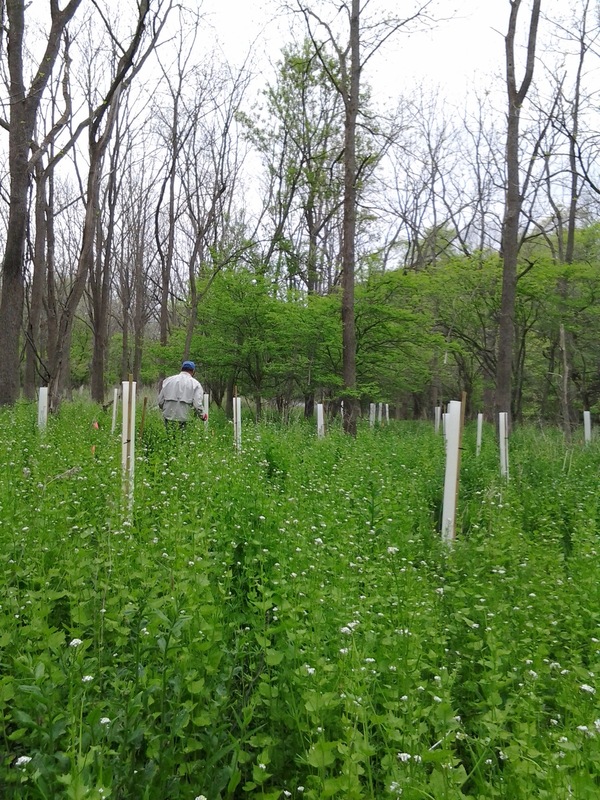 The planting area is also along Oatka Creek! 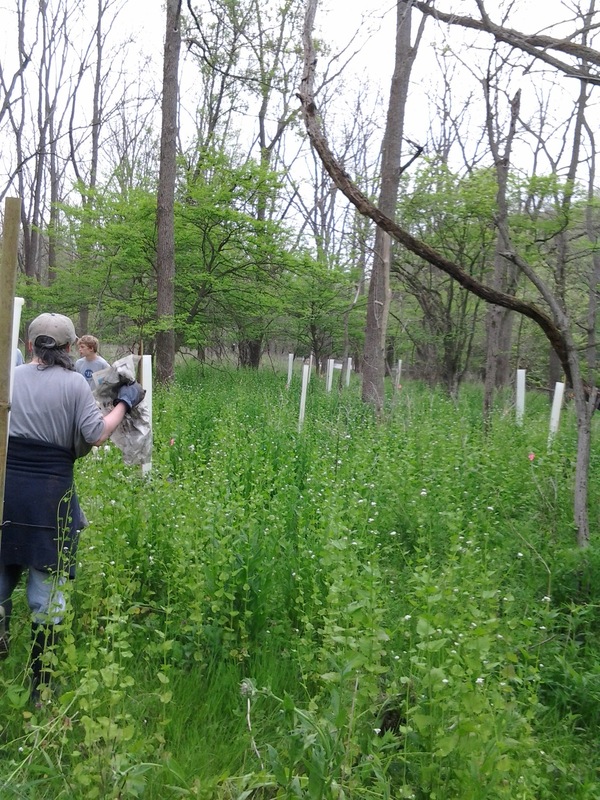 Trees for Tribs Planting Event on Balonek Dairy Farm along Oatka Creek – Plant 270 trees and over 1100 shrubs!! 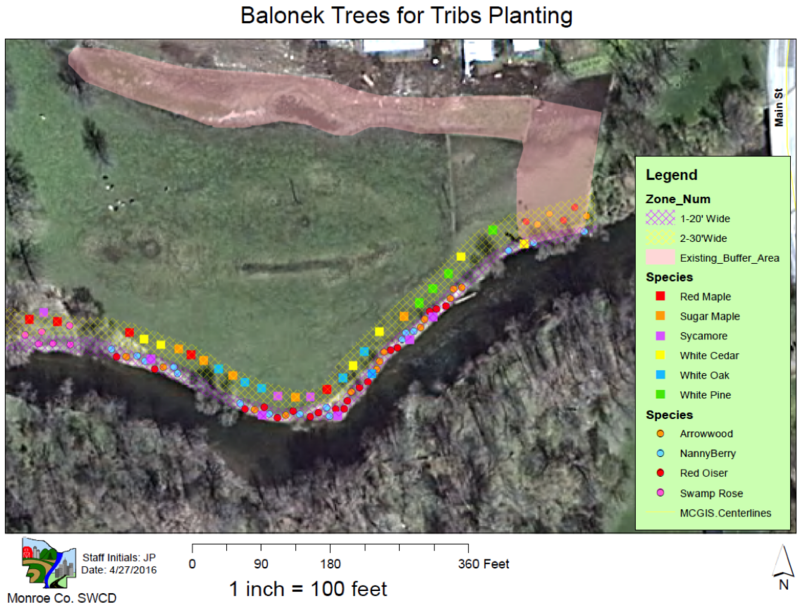 Plant a riparian buffer strip along the edge of Balonek Dairy Farm to prevent erosion and reduce the amount of sediment entering Oatka Creek. Balonek Dairy Farm on the corner of Rt. 36 and Rt. 383 just north of the Hamlet of Mumford. Wednesday June 1st at 9:00 AM until as late as you are able, we have a lot of trees, and any help is greatly appreciated! In addition to June 1st, we plan to have a second planting event at the same location on Saturday June 4th starting at 9:00 AM to finish planting the remaining trees. If all 1500 plants get planted on June 1st a notice will be sent canceling the Saturday Planting event. 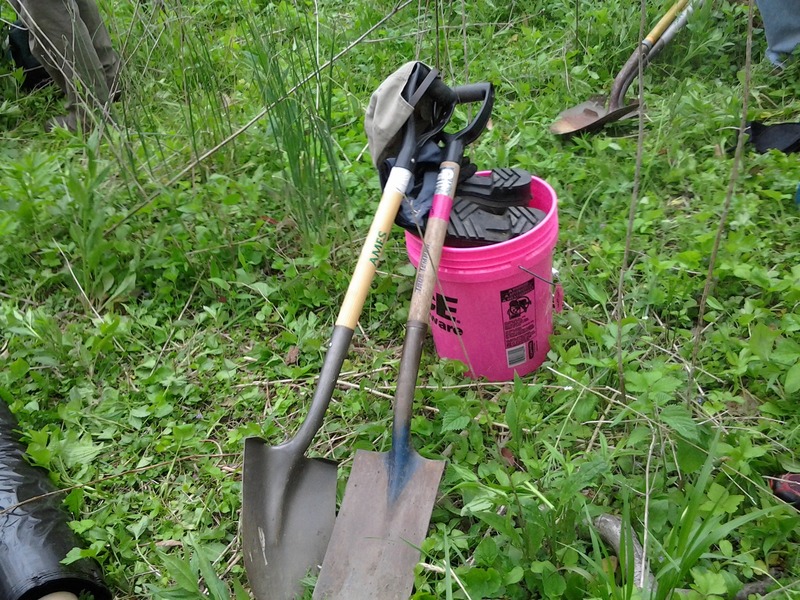 shovels, spades, or planting bars for tree planting. Pick axes or mattock tools may also be helpful. 5 gallon buckets will be needed for watering the plants. Please label your tools for easy identification. We also encourage you to bring friends and family along if possible. 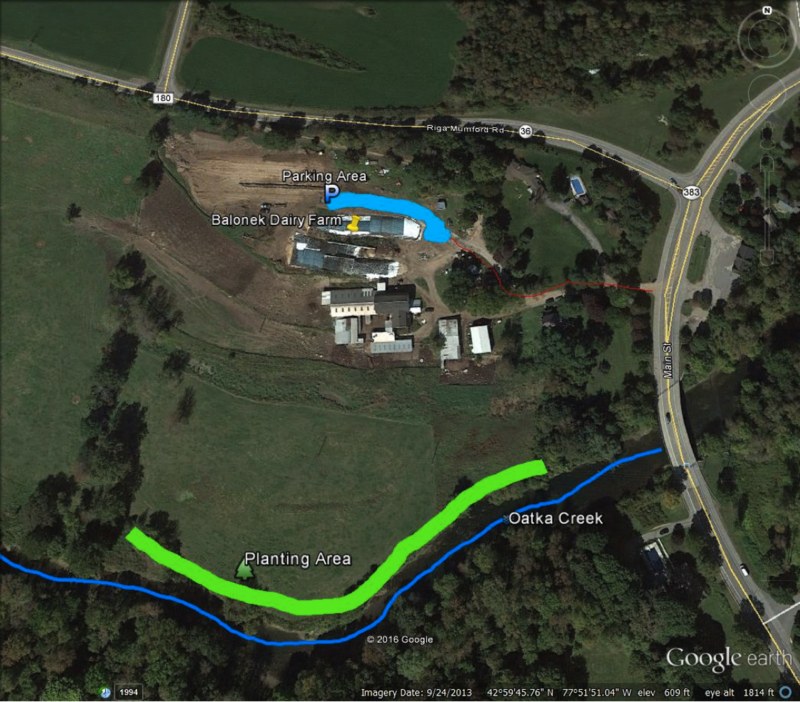 Below, there is a general location map for Balonek Dairy Farm, as well as a map of the proposed planting area along the north bank of Oatka Creek. Volunteers need no prior experience; we will provide instruction on planting techniques. Volunteers will need to wear boots, bring work gloves, insect repellent, sunscreen, water & lunch. We look forward to your assistance with this planting project. 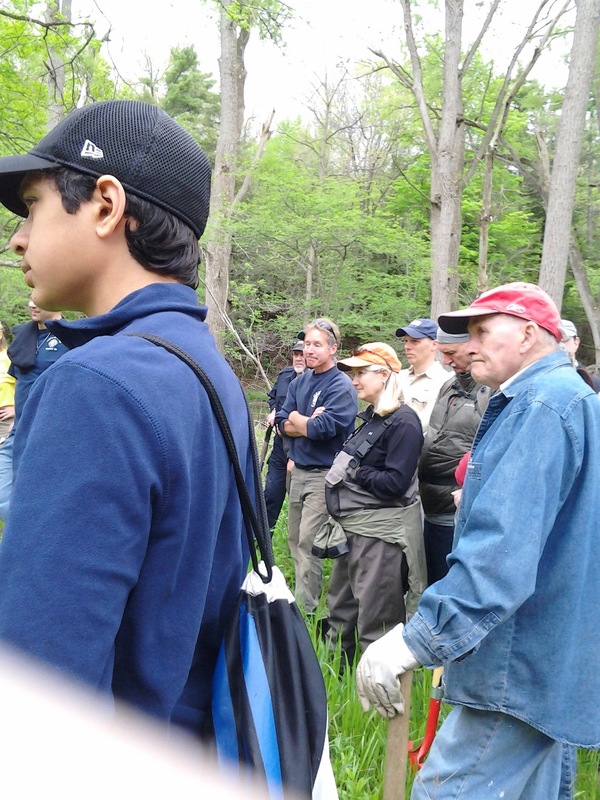 With your help, we can work towards improving Oatka Creek’s water quality. Thank you! It appears that it will be a very warm, sunny day for planting. Please bring lots of water and sunscreen! If you are interested in helping out or have any questions, please contact Jeremy Paris jeremyparis@monroecounty.gov or call Monroe County SWCD at (585)753-7380. 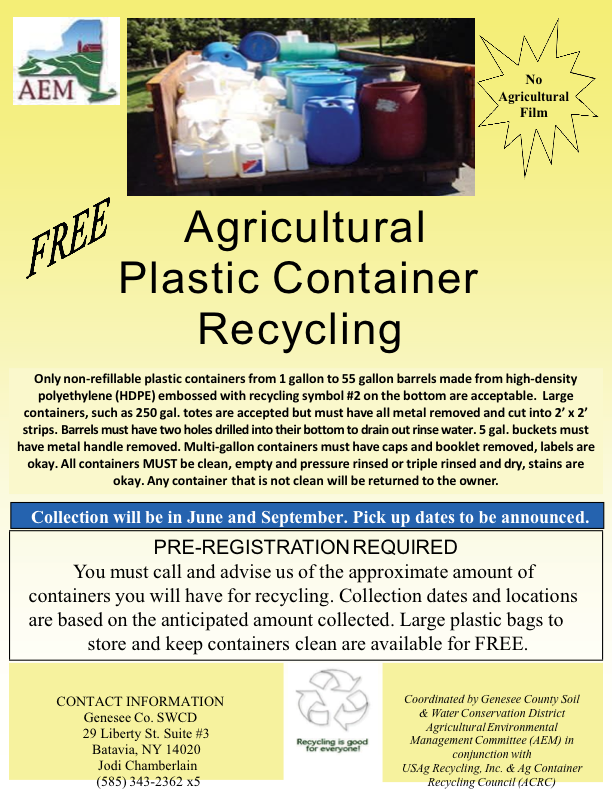 Ag plastic container recycling is coordinated through Genesee County Soil & Water Conservation. This is for containers only and includes the large 250 gallon totes. It is not limited to only Genesee County. Pick-ups are scheduled twice a year, June and September. Alot of vendors I’m hearing now are picking up their used product containers on a return visit to the farm. The recycling program is especially great if you have older plastics lying around that you don’t remember who the vendor was or they’ve piled up over time. Contact information & details are on the attached brochure to REGISTER in advance. Ag bunk covers, ag bags, seed totes/bean totes are not part of the above program, but instead are coordinated through Wyoming County Cornell Cooperative Extension. Richard Downs will be handling pick-up at farms throughout Wyoming County starting in the next few weeks. Please call Richard at 786-2251, ext. 142 if you are interested in having him stop by. If you are outside the county you can still participate by contacting Richard and finding out what dates he will be at farms and coordinating your drop-off. These pick-ups happen several times a year. 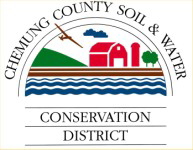 Another event that can be found on the Genesee River Watch event page is the “Stream Investigation, Stabilization & Design Workshop” that is being sponsored by the Chemung County Soil and Water Conservation District. 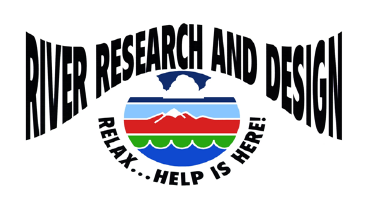 This is a 3 Day workshop to be held on June 8 – 10 at the 4-H Building at the Chemung County Fairgrounds and will feature speaker/instructor Dave Derrik, Potomologist, Stream Stabilization Specialist, & VP for 18 years with River Research & Design, Inc.
To register, complete the registration form found at the above link and mail or email it along with your payment to the Chemung County Soil and Water Conservation District by June 3, 2016. The workshop will be Limited to the first 55, so don’t wait to register. Looks to be a great resource! Check it out! The OCWC will soon be marking storm drains in the Village of LeRoy! 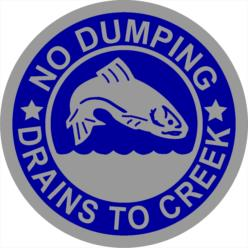 We’re hoping this effort will help folks remember that what goes into the drain, ends up right in the Oatka Creek. We will be looking for volunteers for this project. Check back for more news on this, as planning progresses! 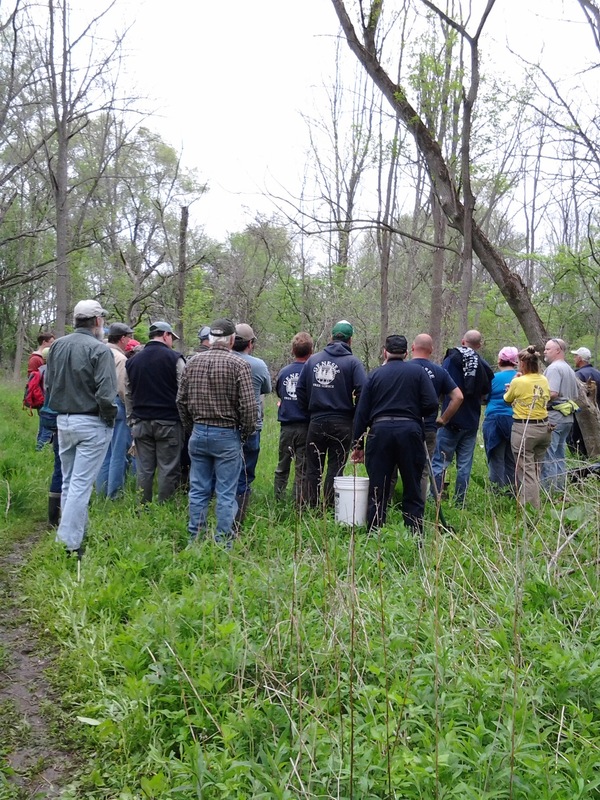 It’s not too late to register for Wednesday’s event that will feature presentations by state, regional and local experts on Streambank Erosion, Soil Loss & Sediment in the Genesee River Basin. Participate in discussions for developing a strategic plan for reducing streambank erosion in the basin. The event is being held at the RIT campus, and is free – But registration is required! Complete information found on the Upcoming Events page on GRW’s website. Be sure to download a map & parking permit! This wonderful panoramic photo of the east planting area is courtesy of Chuck Fujita, who is with the Seth Green Chapter of Trout Unlimited. What a beautiful shot! Thanks, Chuck! After everyone left yesterday, we had one tool without a home. I have a black 1 ½ lb. rubber hammer with a wooden handle. If someone is missing it let me know and I’ll make arrangements to get it back to you. A bunch of our crew from the back! A great crowd of about 60 wonderful hard workers got all 1500 trees and shrubs in the ground right before Mother Nature kicked in with some rain to finish up the job at around 3:30! It was an exhausting but rewarding experience. THANK YOU – FOR A GREAT JOB AND A GREAT DAY !!! 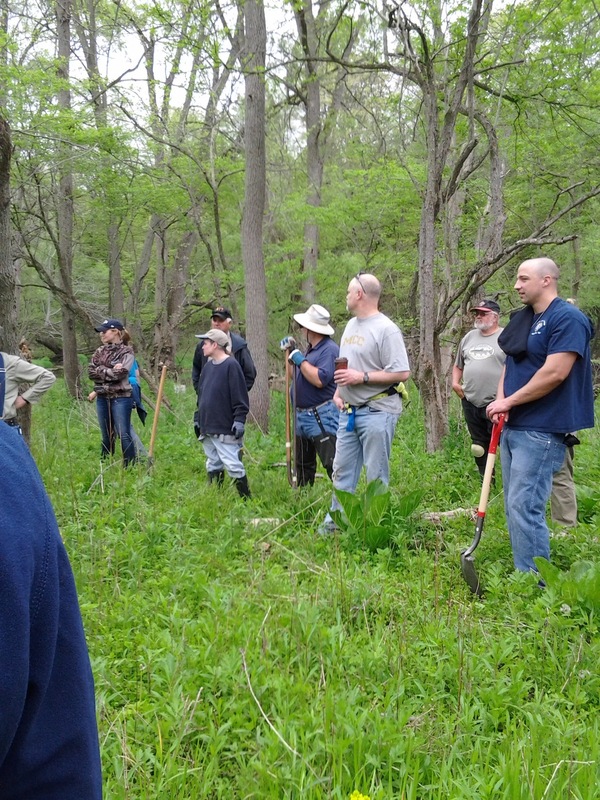 As the soreness of aching joints & muscles fades away, it is being replaced by a warm feeling of satisfaction with not only the significant work that was accomplished, but also the investment in time and energy that all the volunteers made yesterday to maintain the riparian corridor in Oatka Park and water quality of Oatka Creek. I am happy to report that with the effort of over 60 volunteers, we were able to plant all 1500 trees and shrubs by 3:30 PM. This effort took just about 6.5 hours – this is a tremendous accomplishment, with most of the planting occurring between 9 AM and 2PM. I want to particularly thank the 20 or so volunteers who could stay and help plant the last remaining trees. 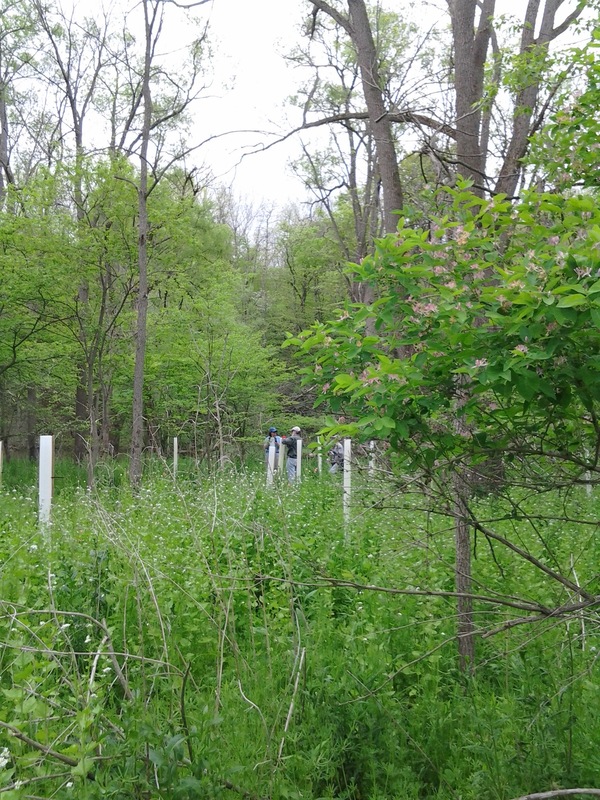 The number of trees & shrubs planted, as indicated by the standing tree tubes or flags, as well as the amount of area covered by the planting event will be very impressive when seen by those who use the streamside trail for fishing, nature walks, jogging or hiking. 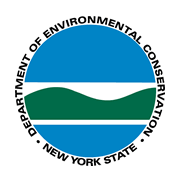 I would like to personally thank our partners: the Monroe County Department of Parks and Recreation; Seth Green Chapter of Trout Unlimited; the Wyoming County Soil and Water Conservation District, the Coordinator for the Trees for Tribs Program for the Genesee River Basin; and the NYS Department of Environmental Conservation’s Saratoga Nursery. 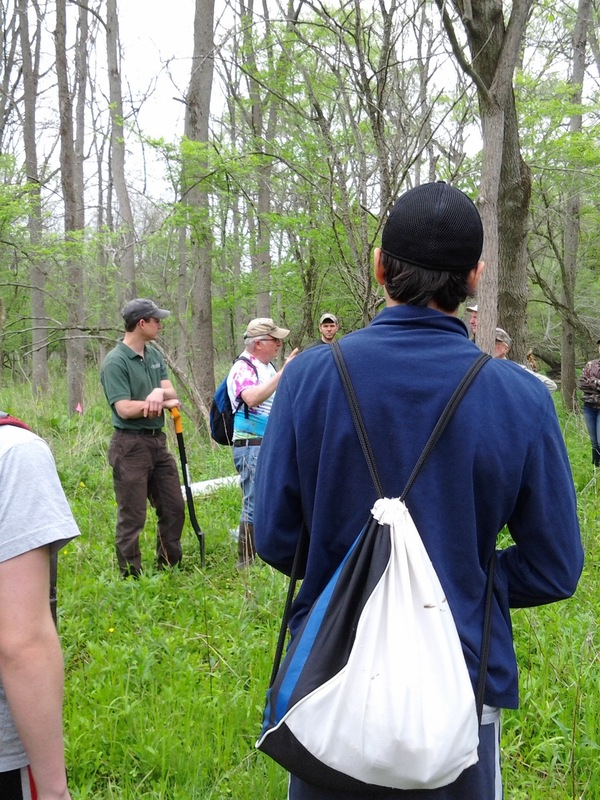 Much of the success for tree planting events results from the dedication of time and energy into pre-event planning. In addition to myself, there were four individuals who were actively involved in on-site preliminary planning activities. They include: Steve Leupold with the Oatka Creek Watershed Committee, Gary Koplun with NYS DEC, George Squires with the Black Creek Watershed Coalition; and Mark Quinn with the Monroe County Parks. I also thank Meg Boberg and Al Fagen, who are with the Wyoming County SWCD, for their help in coordinating supplies and plants with the Saratoga Nursery and in delivering supplies and plants to the planting site, as well as volunteering at the event. Most of all I thank all the volunteers, without whom a successful event would not have been possible. The volunteers included folks from: three Trout Unlimited Chapters (Seth Green Western NY, and Canandaigua); Oatka Creek Watershed Committee; Monroe County Parks; students from McQuaid and Sunderland High Schools; CEI-Genesee RiverWatch; Monroe County SWCD; Knights of Columbus – Caledonia Council; and many other individuals. In particular, I think it is important to highlight the efforts of three Trout Unlimited Members who helped operate the augers: Bob Herson from Canandaigua TU, Scott Seidman from Seth Green TU and Chuck Godfrey from Western New York TU, who also was responsible for bringing the augers to the event. If you folks know of someone who helped at the event and may not be receiving this thankyou from me, please forward it to them. 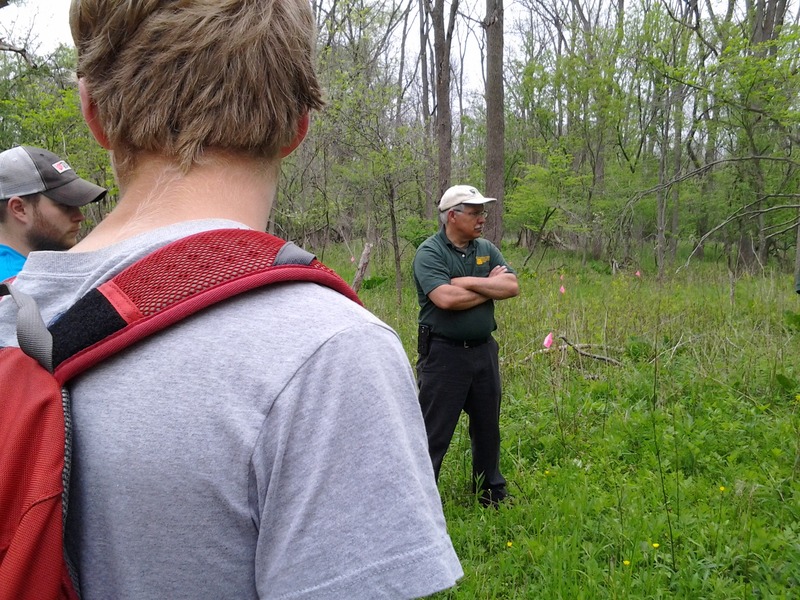 One of the responsibilities under the Tribs for Trees Program is to monitor the plants over time. This includes maintaining the tree tubes and water the plants during drought conditions. 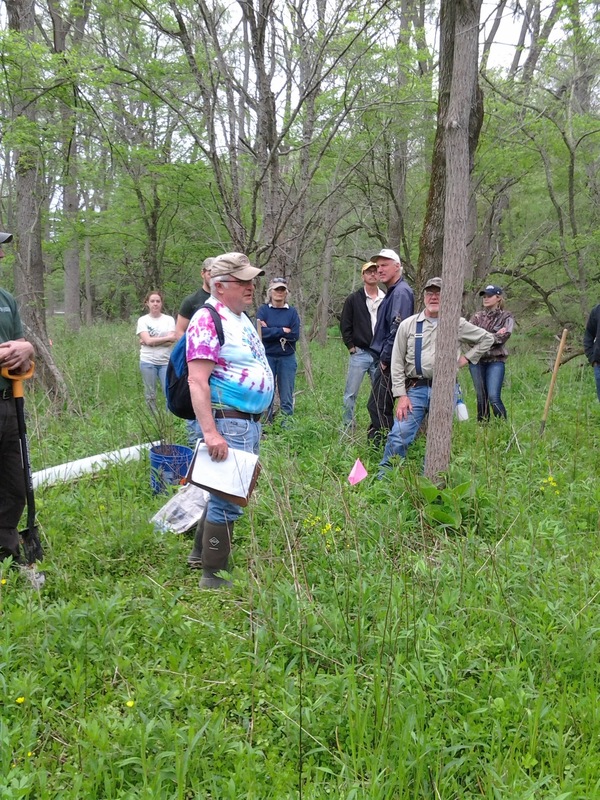 I will be working with the local Trout Unlimited Chapter – Seth Green to develop a practical plan for tree monitoring that would include volunteers from Trout Unlimited and the Oatka Creek Watershed Committee. Again THANK YOU for all your efforts yesterday. We should all be proud that we made this effort. note from admin – Several fisherman who saw the group at the site expressed their thanks for our hard work. Made us feel great!! Mark Quinn, Chief Horticulturalist for Monroe County Parks, was there to assist! Reminder – What to Bring to Plant those Trees! Don’t forget to label your tools for easy identification. Thanks to everyone who will be participating tomorrow! See you bright & early at 8:30! Get your tools, food and bug spray ready to go! The tree tubes, stakes, weed mats and staples were delivered to the tree planting site yesterday morning. Al Fagan and Meg Boberg from Wyoming Co SWCD brought them up and I helped unload them and we brought them through the RR Underpass and cached them on the other side. There will be tree tubes only for the deciduous trees (red maple and sycamore), no tubes for white pine and white cedar, or for shrubs. Our trees should be delivered on Friday I don’t know the time yet. The Wyoming Co SWCD will get the plants from the nursery today. They will be getting close to 5,000 and they need to separate these out into the projects that they have (5 or 6 ? ), including ours and Balonek Farm. This will take some time and they plan to do this on today and Friday. After we unloaded the supplies, Al mentioned that they were going over and deliver some supplies to Mike Balonek and I decided this would be a good time to meet him too. His trees won’t be delivered until early next week. I had the chance to explain to Mike that we had been planning to help out with his project for 2 years and still would want to help, but I couldn’t see that we could do anything until the first weekend in June. Al, or Meg or Mike (not sure which one) had heard that Kelly Emerick (Monroe Co SWCD District Manager) might be trying to arrange some planting on a weekday, but there is nothing scheduled yet. With Memorial Day weekend coming up, it seems unlikely that something will happen before June (they will just have to keep them cool and protected in the meantime). I’ll keep everyone informed when I hear something, but for now this Saturday at Oatka Park is the most important thing we need to think about. 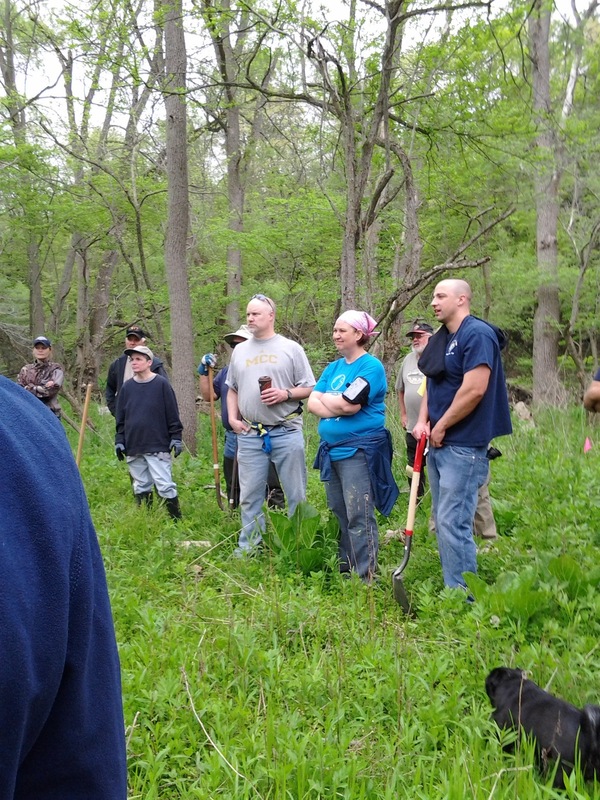 One of the new technicians, Josh LaFontain, at Monroe County SWCD has alerted us that he will be attending our meetings now and will also be at the tree planting at Oatka Park. This will give us an opportunity to find out more from him about Balonek farm project. 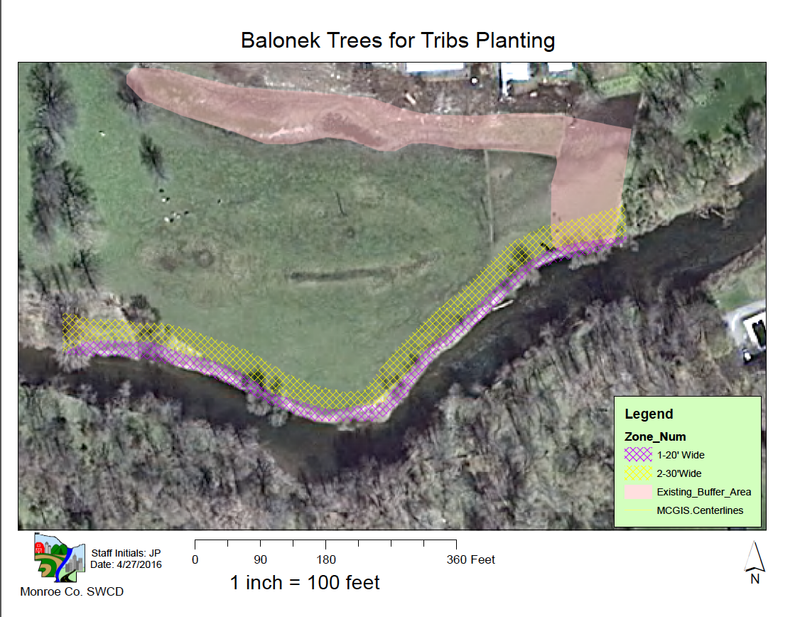 I have attached a plan for the Balonek farm tree planting that Meg received from Monroe Co SWCD. I made a presentation of the project status update at last night’s Seth Green TU Chapter Meeting in Scottsville. I had an additional 7 folks sign up and have 5 more that are likely to attend at some point but needed to check with their significant other. With the 7 we are probably at 55 volunteers now. Larry Charette is sending out an e-mail to the entire Chapter Membership today (400 +) he is asking them to show up but I won’t be contacted so we will wait and see what happens. I also met with the volunteer that will be working at the off-road parking area and we have a plan to park the cars. We will first park them along shoulders of the access road and then have them park up in the material storage area, which has plenty of room. Some of the TU folks will probably park at the fishing access point off of Union Street and walk along Oatka Creek to the Planting Areas. I am thinking about how we will organize the work and the volunteers. Of those attending the most knowledgeable are Gary Koplun, Steve Leupold, Mark Quinn, Al Fagan, Meg Broberg, George Squires and possibly me. My plan is to divide each planting area into two sections (4 total) and have at least one of us serve in the role of a “supervisor/guide” for each section. 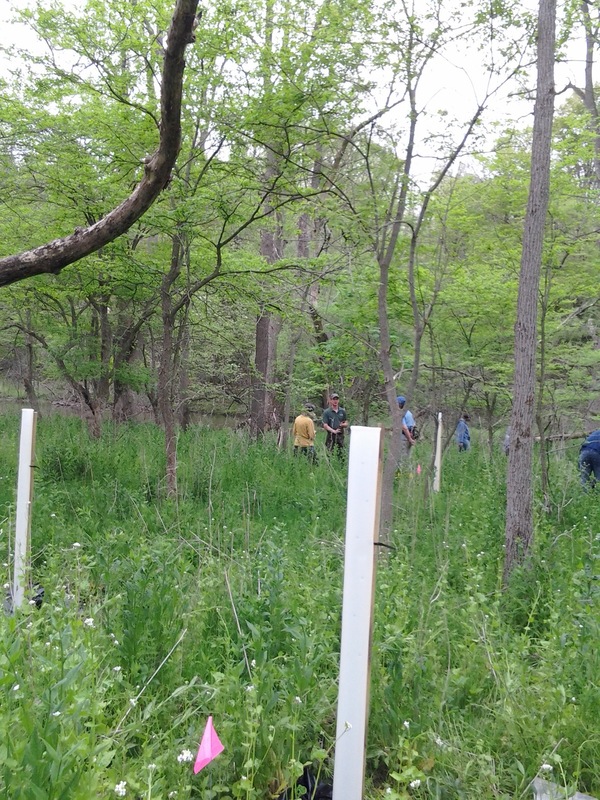 Planting progression in each section will proceed from the creek margin north into riparian corridor, with those using the augers advancing ahead of the other volunteers. Although most volunteers will probably be there from 9 to 12, some volunteers will leave early, while other will arrive later in the morning and stay past 12, others have expressed interest in working into the afternoon. I will be there until 5. After about an hour any volunteer probably can mentor any new folks that show up. The supervisor role would include overseeing up to 25 volunteers (100 divided by 4) and making sure plants are planted correctly and that hole prep, planting , installation of tubes/ weed mats, and watering progresses as smoothly as possible through their section. In the next 2 days, I’ll be dividing up the two planting areas not only into half (east and west sections) but also into planting “rows” going from south to north in each of the four sections. This will give those auguring a guide and will ensure we are covering the area. At least these are my thoughts, within the first hour on Saturday we may be doing something completely different. But at least it’s a plan and I think I can get it on paper so I can share with “section chiefs” and those doing the auguring. I plan on being at the site 7:30 Saturday Morning and we can get together sometime before 8:30 and discuss coordination. Any thoughts in the meantime would be appreciated. If anyone is available on Friday, while we wait for the trees to arrive, we can try and get some of the supplies distributed to some of the planting sections. I will be bringing a wheelbarrow. One other thing (at least for now) in order to not cause too much disturbance to Oatka Creek, early on we should identify one single spot for each of the 4 sections where we can safely enter the water and fill buckets for watering the plants. If possible these locations should have vegetation on the banks and not bare soil or mud. Probably, early on we should see who has the best boots and assign them to go into stream and fill the buckets and hand them off to other volunteer s on the banks this would limit the times the edge of the stream bank gets disturbed and will reduce damage to vegetation cover. That’s all for now. Got to mow my grass.